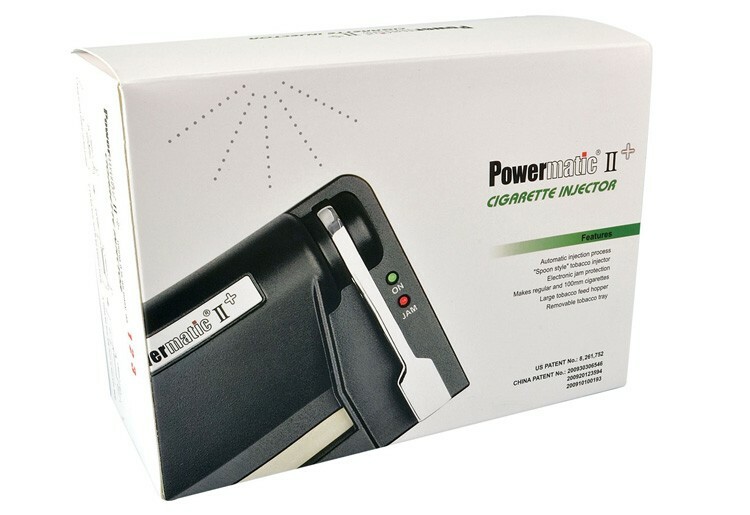 The Powermatic II + is an electric cigarette spoon injection machine that produces a perfect cigarette in seconds. The spoon injection method allows users to make cigarettes that burn evenly without any surprises. This machine is designed to work with both standard size, king and 100mm tubes (fills 100mm tubes to approximately 3/16 of an inch from the end of the tube). 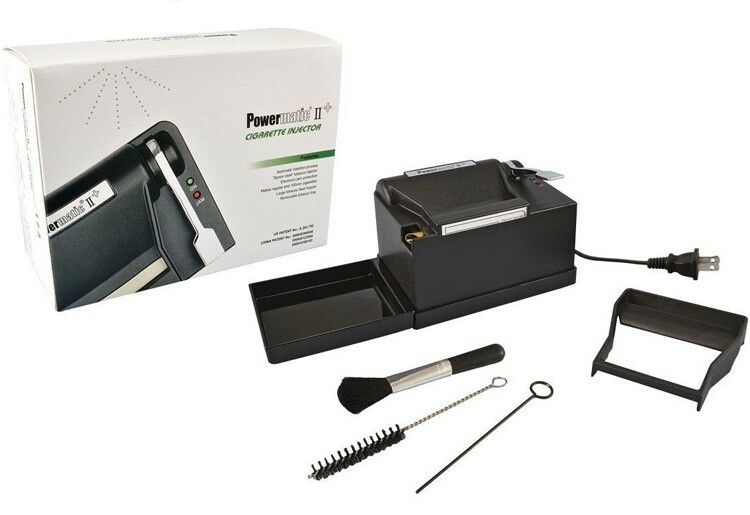 The Powermatic II + electric cigarette machine features an entirely new operating concept making it the first affordable electric spoon injection machine ever produced. This unit outperforms the very best mechanical crank injectors on the market. 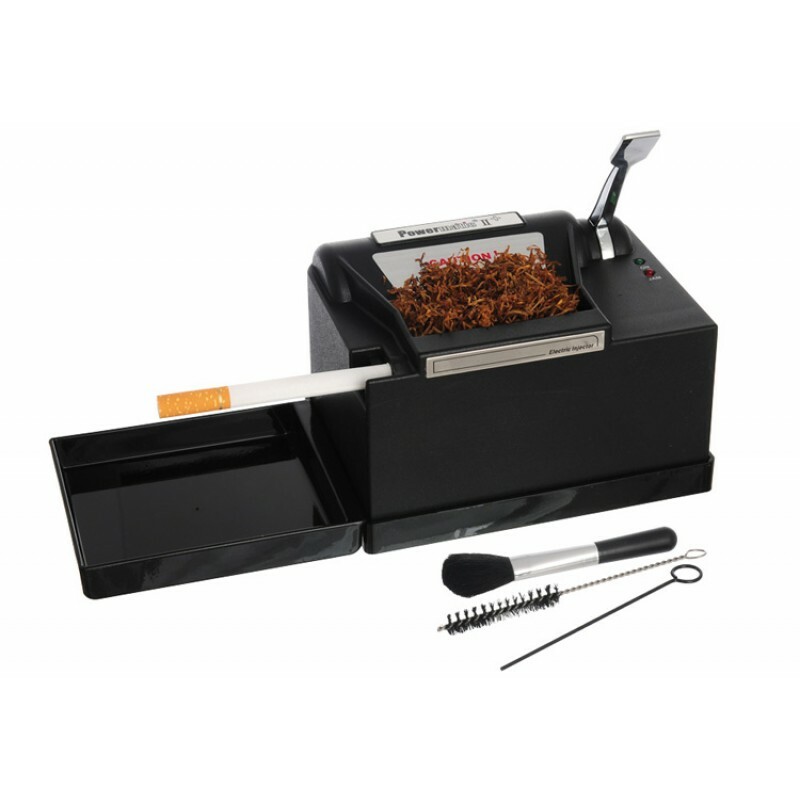 Includes a tobacco hopper so you can make more cigarettes continuously without constantly reloading tobacco into the machine. 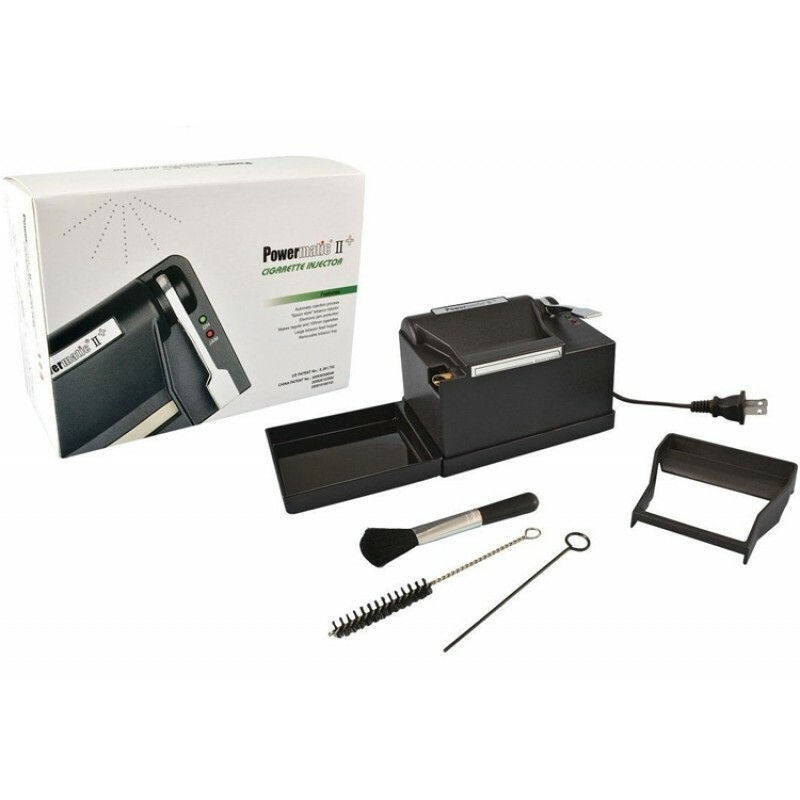 Features a collection of useful tools for cleaning and maintenance as well as a detailed DVD with easy to follow operating instructions. 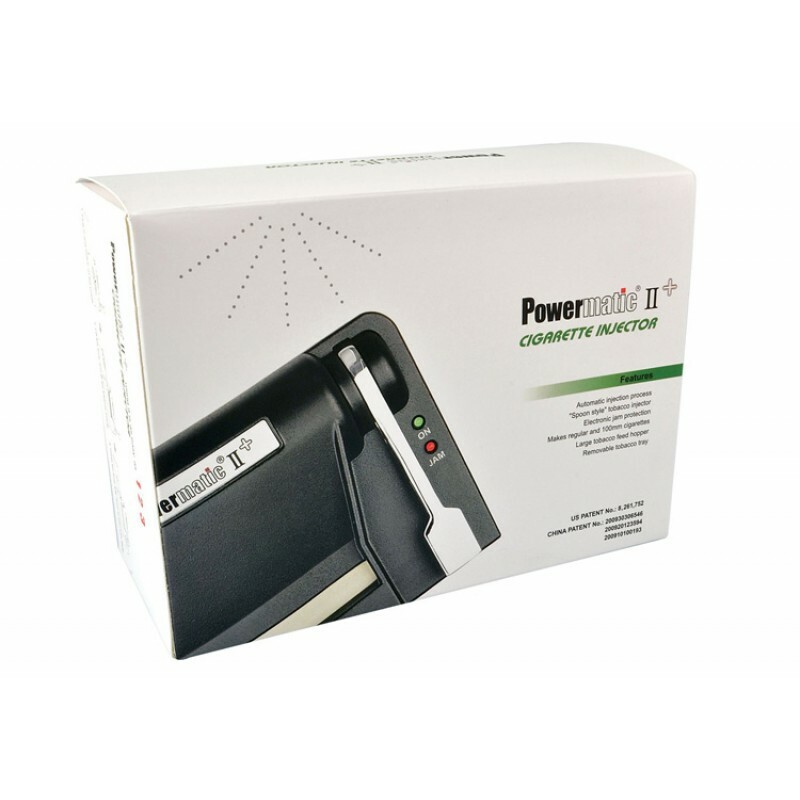 The Powermatic II Plus is compact in size and conveniently fits on any desktop and can be taken along while traveling. This beautiful machine weighs about 2.25 lbs and has a solid weight and feel. Measures 5-1/2"W x 4"D x 3.8"H (without the tray attached). Includes a 1 year manufacturer's warranty. 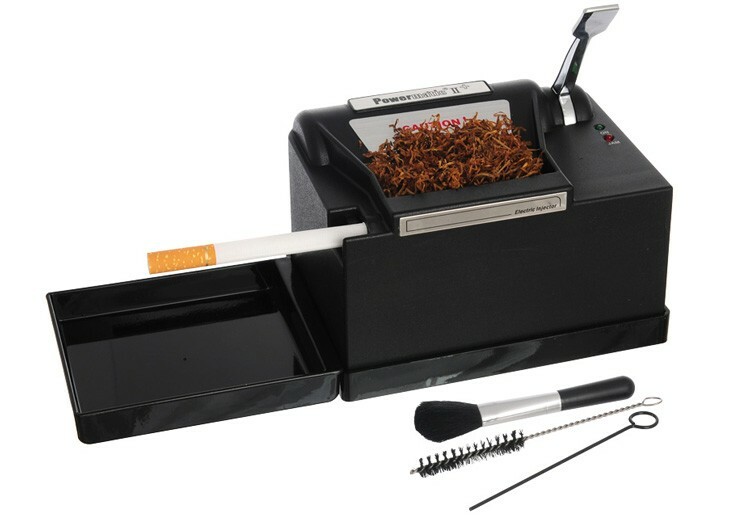 A phenomenal machine that makes the finest sticks at a great price. Using the Powermatic II + is easy: Simply slide an empty tube onto the filler tip on the left hand side of the machine. Next, raise the lever on the right and drop a small handful of tobacco into the tobacco chamber. Press the fill button on the right and your cigarette is complete! Its that easy. Take a peak at the RYO Magazine review video above for more complete information.